Donegal County Council and Derry City and Strabane District Council said they are jointly seeking views on a series of route options being appraised for a proposed greenway linking Derry to Muff. The councils are aiming that the greenway route will seek to enhance the links between communities on both sides of the border, and provide for increased travel by bicycle or on foot instead of completing journeys by car. 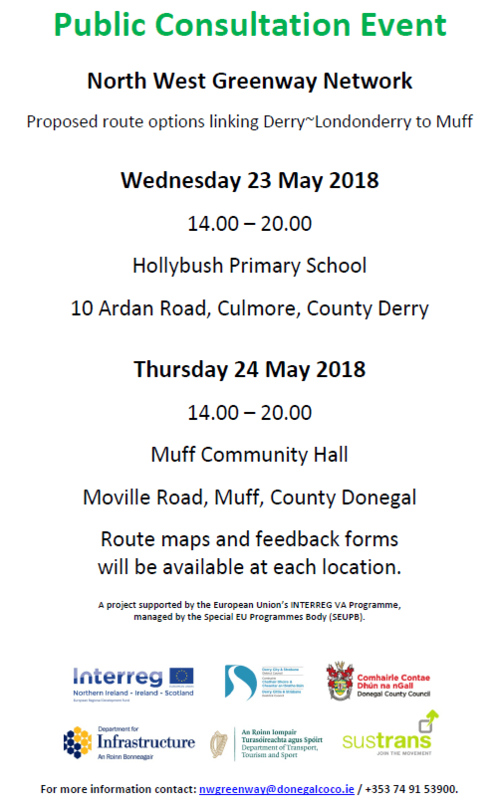 The councils said that public consultation days are being held in order to enable the public to review presented route corridor options and to provide formal feedback on Wednesday 23 May in Hollybush Primary School, Ardan Road, Culmore from 2 to 8pm and on Thursday 24 May in Muff Community Hall, Muff, Co. Donegal from 2 to 8pm. The project is to be developed as part of the North West Greenway Network. 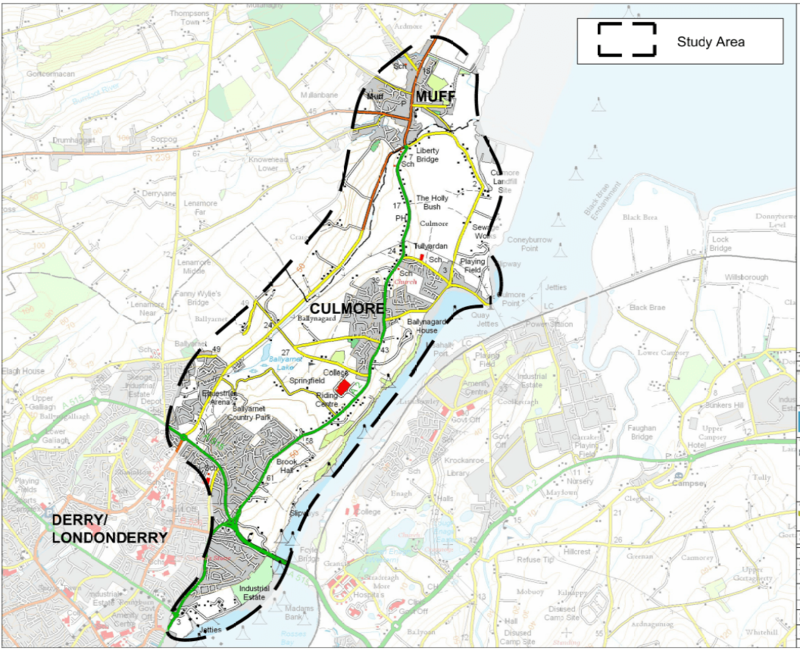 “The Muff to Derry section is known as Route 2 and is one of three routes being developed as part of the North West Greenway Network. On completion, the three routes will deliver 46.5 km of new cross-border greenway that will help reduce carbon emissions by encouraging commuters to leave their cars at home. The €18 million project is part-funded under the EU’s INTERREG VA Programme, managed by the Special EU Programmes Body (SEUPB),” a joint statement said. The councils said that Derry City & Strabane District Council in partnership with Donegal County Council, Department for Infrastructure NI (DfI) and Sustrans were awarded European Union INTERREG VA funding to construct sections of greenway. Match-funding has been provided by the Department for Infrastructure in Northern Ireland and the Department of Transport, Tourism and Sport in Ireland.